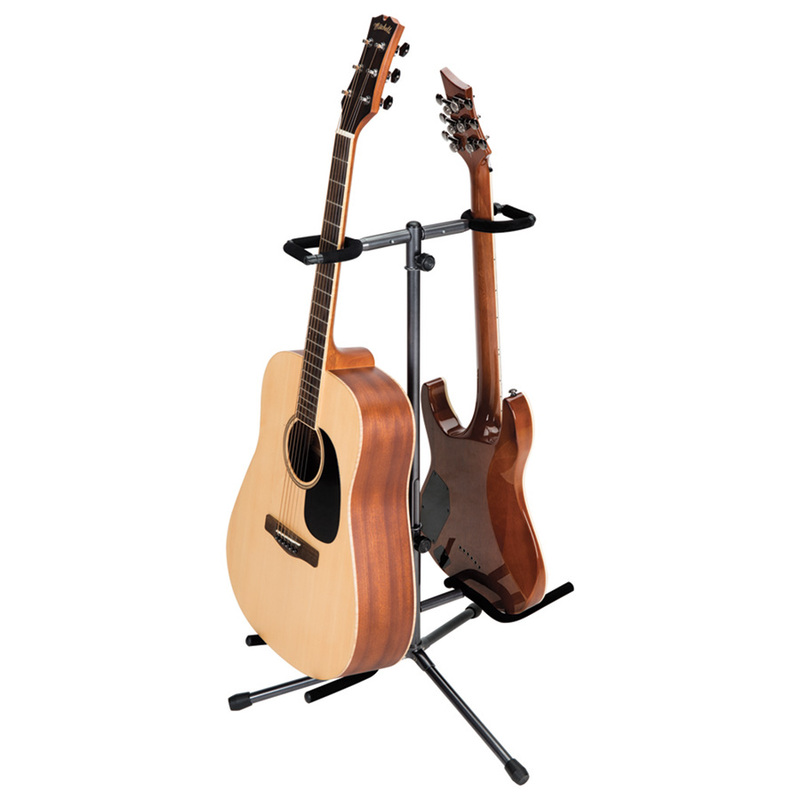 The unique Proline HT1052 “Securi-T” Series guitar stand features a quick and easy locking yoke mechanism that safely secures your instrument while not in use. 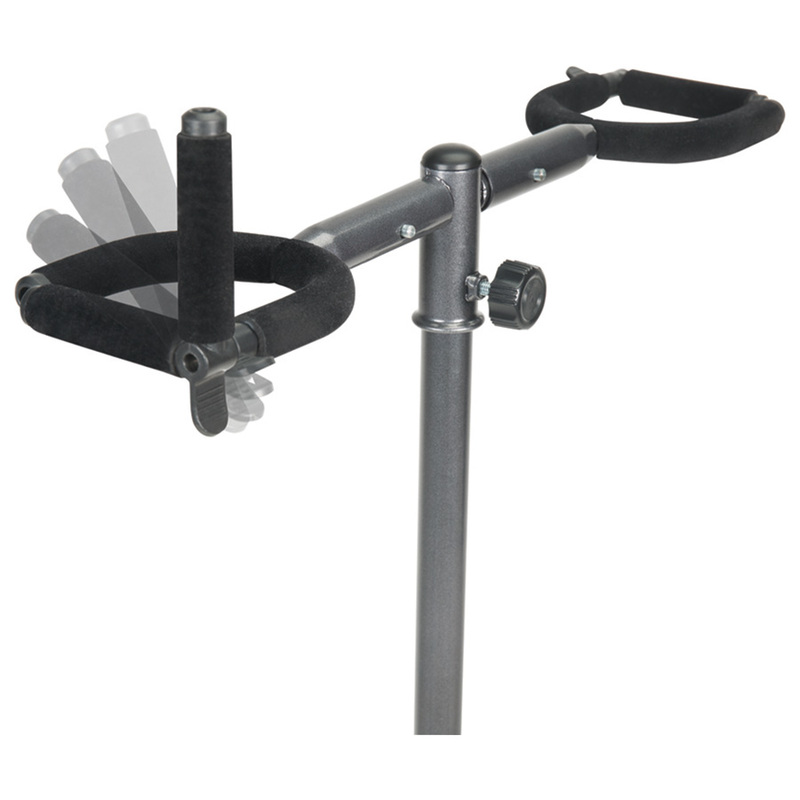 The patent-pending Securi-T design is amazingly easy to open — even with one hand — and snaps your instrument securely into place, removing any chance of accidental falls. 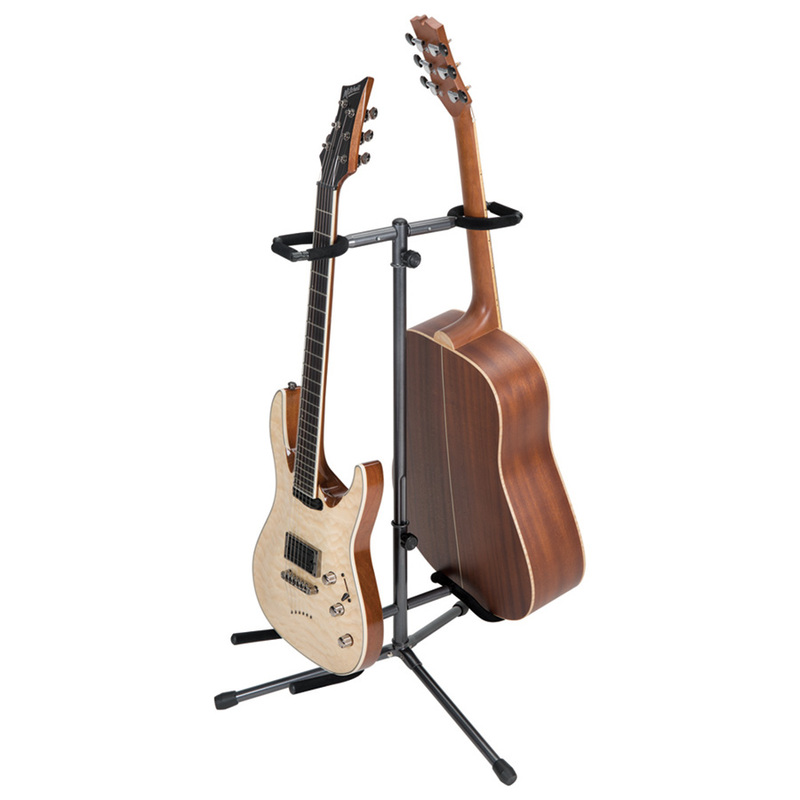 The Securi-T stand also features deluxe inert open-cell foam touch-points that softly cradles guitars and basses without scratching (not recommended for nitro-cellulous finishes). Plus, the Gray Pearl finish disappears on stage and on camera. 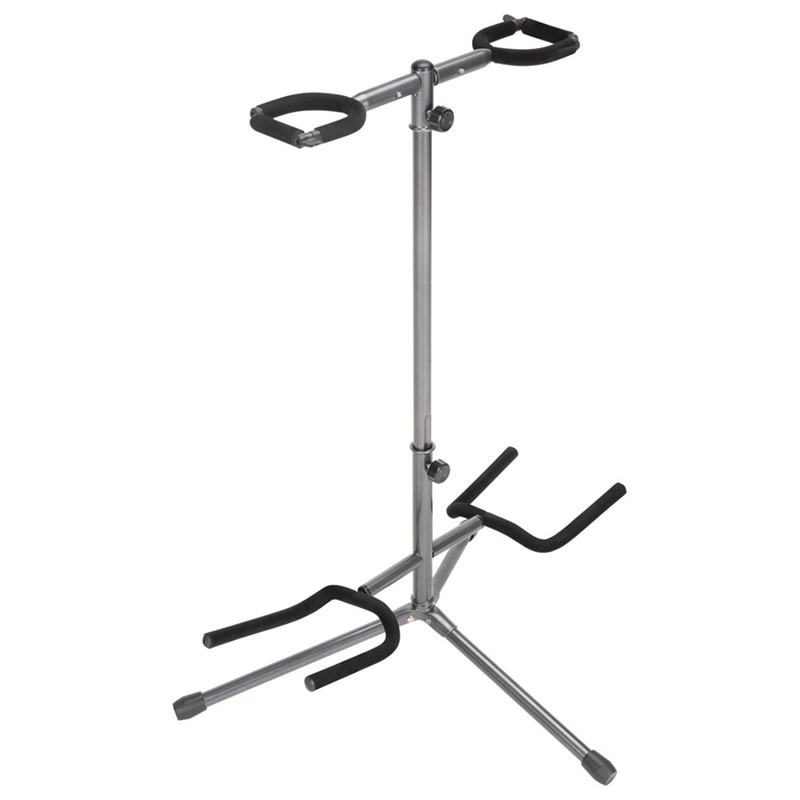 Also available in single and triple instrument configurations, the Securi-T Series is the most secure and cost-effective locking stand available.